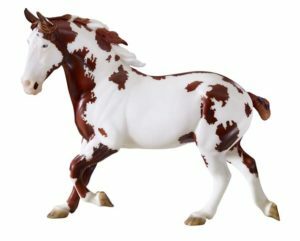 Home » Model Horse	» Buy 2 and Get 1 At 20% Off & New Breyer Stock On The Way! Buy 2 and Get 1 At 20% Off & New Breyer Stock On The Way! For the first time we are running a Buy 2 and Get 1 At 20% Off Sale on everything in our eBay store. This applies to Fixed Price listings only. The wording eBay uses for this can be a bit confusing. To verify, if you purchase 3 items you get one at 20% off 🙂 The sale ends on Monday, October 24th at 23:59PST. 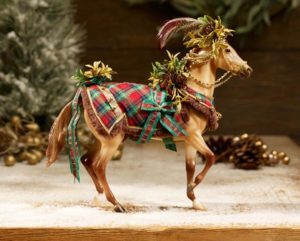 Our distributor received the delayed Breyer 1764 BHR Bryant’s Jake and the Breyer Christmas Horse 700119 Woodland Splendor. We have placed our order and expect to receive our shipment within the next 2 weeks. We are still waiting for the Breyer 1771 Xavier Mystical Unicorn to come in, but we don’t have an estimated time of arrival on him. We aren’t accepting any preorders on Xavier. If there is enough interest, I could get some presale listings going for BHR Bryant’s Jake and Woodland Splendor as our order is confirmed. 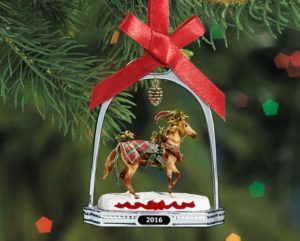 We will also be ordering some of the Breyer 700317 Woodland Splendor Stirrup Ornament. Is there any interest in any of the other current run Breyer ornaments? We are just beginning to explore the use of Youtube for Aidan’s Toy Trove. Right now, we only have a couple of experimental videos up. We don’t want to fully promote the channel until we have more content but you are more than welcome to check out Aidan’s Toy Trove Youtube Channel and subscribe to help support our channel! What kind of videos would you like to see? We are welcome to any and all ideas! « Meet Yasmin The 3rd 2016 Premier Club Release!